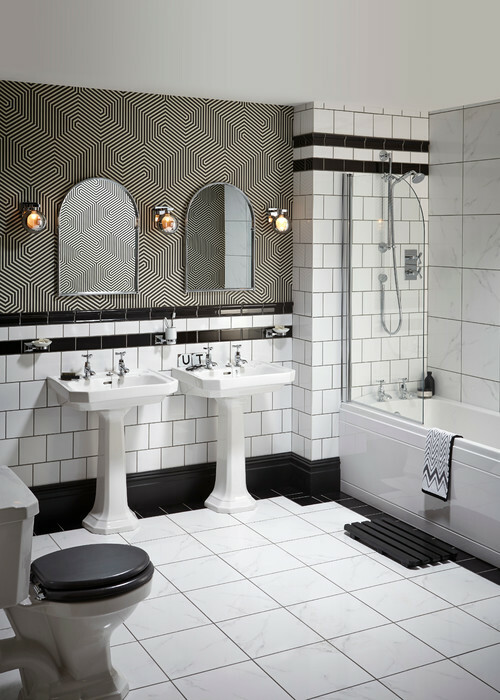 If you are worried about choosing matching colours for your bathroom, the monochrome style will save you the hassle. This style, which has been very popular in the 80’s, is coming back to life this year. All you need to do is to choose a colour that you love and decorate your bathroom with different shades of it. The most popular combination of the monochrome style consists of different shades of black, greys and white, but if you like colour you can choose anything that suits your taste, whether it’s bubble gum pink or forest green. 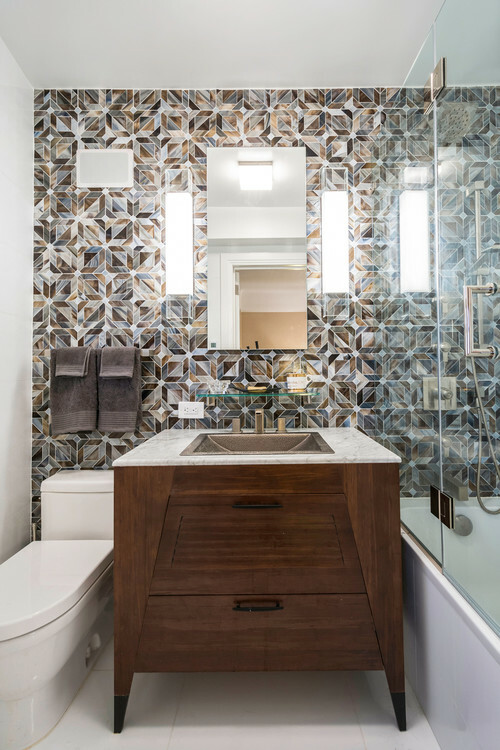 Adding metallic touches to your bathroom is a trend emerging in 2018 that will give the room a luxurious vibe. To keep it classy, it’s best to avoid covering the whole room in metallic colours. 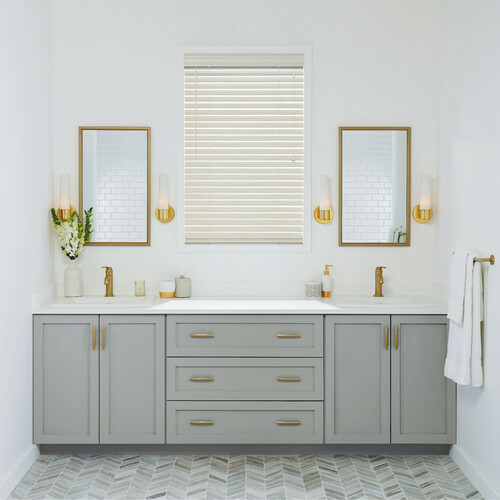 Whether you like copper, gold or silver, choosing the right tones to suit the rest of the bathroom design is vital for the result. 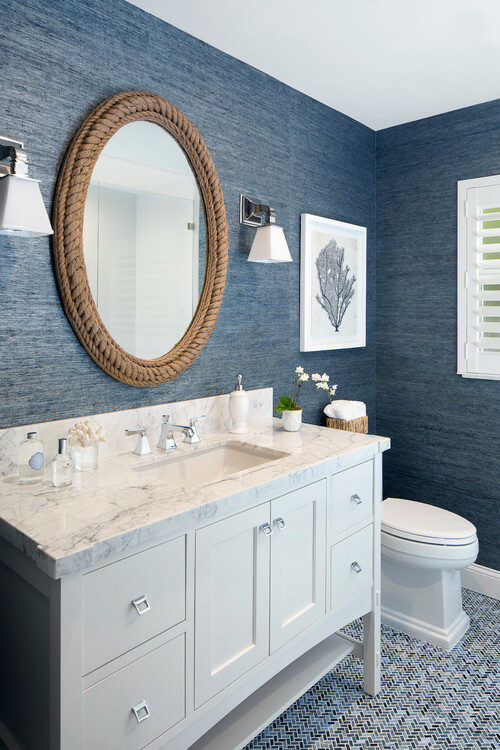 Natural materials such as wood, are a big trend this year that will add texture to your bathroom. Whether you prefer light or dark shades, this material is versatile and will give your bathroom a luxurious look. 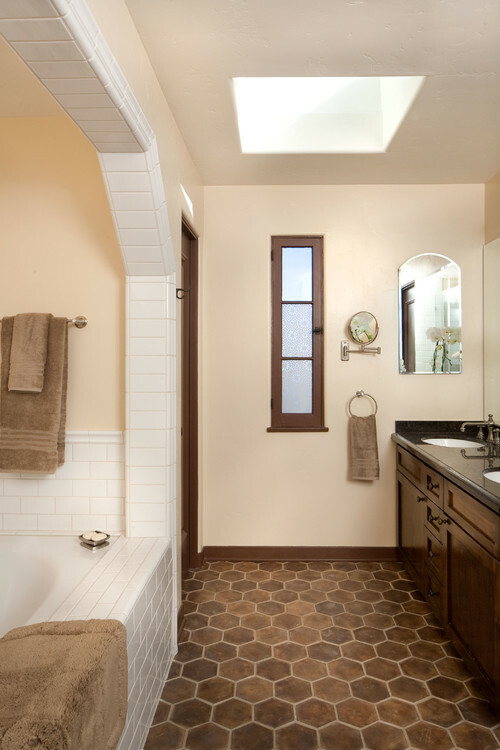 The mosaic style is a big trend this year which will give your bathroom a ‘renaissance’ look. 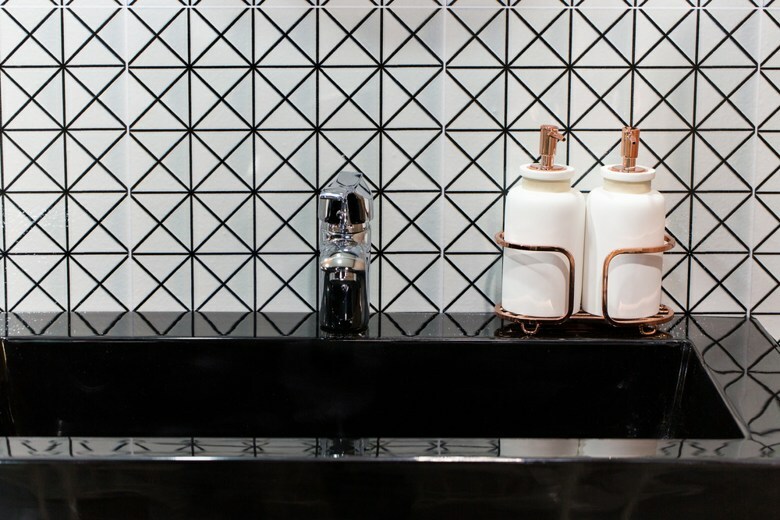 It is a great option if you would like to incorporate colour to you room in the form of this stunning tile. This trend is definitely an eyecatcher that will never get out of style. Don’t shy away from mixing different material together as the result can be stunning. From flooring, to lighting and furniture, you can explore the use of different materials. You can try mixing simple material such as wood, with more eye-catching ones, such as marble or glass, to create contrast and a focal point. 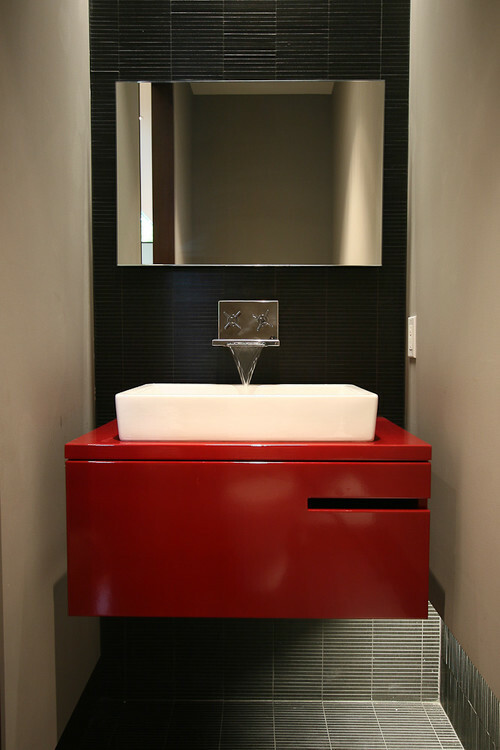 You can bring a usually boring bathroom to life and give it some character by adding a bold accent to it. This trend was very popular in the 70’s and has been coming back this year. It works best if the background consists of simple wallpaper or tile which will only make the coloured item pop even more.